People experiencing homelessness have unique healthcare and health promotion needs. This article provides nurses with information on the healthcare challenges that commonly affect people who are experiencing homelessness, and outlines various effective nurse-led interventions that can be implemented. 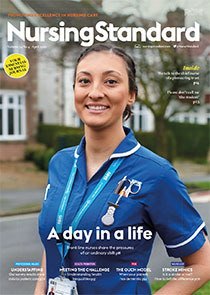 It provides examples of nurse-led health promotion projects, which demonstrate how a collaborative approach can improve the healthcare experiences of this patient group. This article also examines the issue of homelessness and mental capacity, as well as explaining the role of physical health outreach services in caring for people experiencing homelessness.